Ennius' Annales, which is preserved only in fragments, was hugely influential on Roman literature and culture. This book explores the genesis, in the ancient sources for Ennius' epic and in modern scholarship, of the accounts of the Annales with which we operate today. A series of appendices detail each source's contribution to our record of the poem, and are used to consider how the interests and working methods of the principal sources shape the modern view of the poem and to re-examine the limits imposed and the possibilities offered by this ancient evidence. Dr Elliott challenges standard views of the poem, such as its use of time and the disposition of the gods within it. 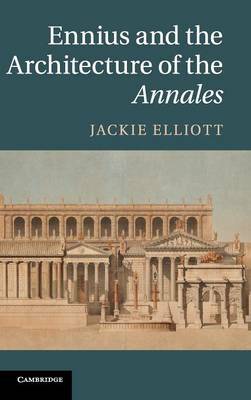 She argues that the manifest impact of the Annales on the collective Roman psyche results from its innovative promotion of a vision of Rome as the primary focus of the cosmos in all its aspects.